Austin has a lot of grocery stores. HEB, Whole Foods, Randalls, Fiesta, Trader Joe’s, Costco, and Sprouts. Then there’s stores that also have groceries like Target and Walmart, and Sam’s Club, and the Mexican grocers. And if that’s not enough, there are more and more specialty markets all the time, with everyone that’s ever jammed a jam or cured a pork belly opening up a store. I love all the options we’ve got here. But on a weekly basis, for years now, I’ve found myself wondering if I’m buying things in the right place, for the right price. This blog is my attempt to make sense of all the choices I’ve got when I make grocery decisions for my home. Since I know I’m not alone, CheepieAustin is here to share grocery wisdom wherever we come across it. I want you to talk back to me. Disagree with my rankings? Let me know! I want to discuss it. Do you know a great Mexican market where prices are good, let CheepieAustin know! Fiesta limit: limit 2 at that price with a $10 purchase. FM is farmer’s market, I hope to start including them soon. DH is my husband, sometimes dear, sometimes not. Tiny, Boy and Eldest are the kids. Can you explain the HEB grackle? It’s just my way of referring to the two sorts of HEBs out there. 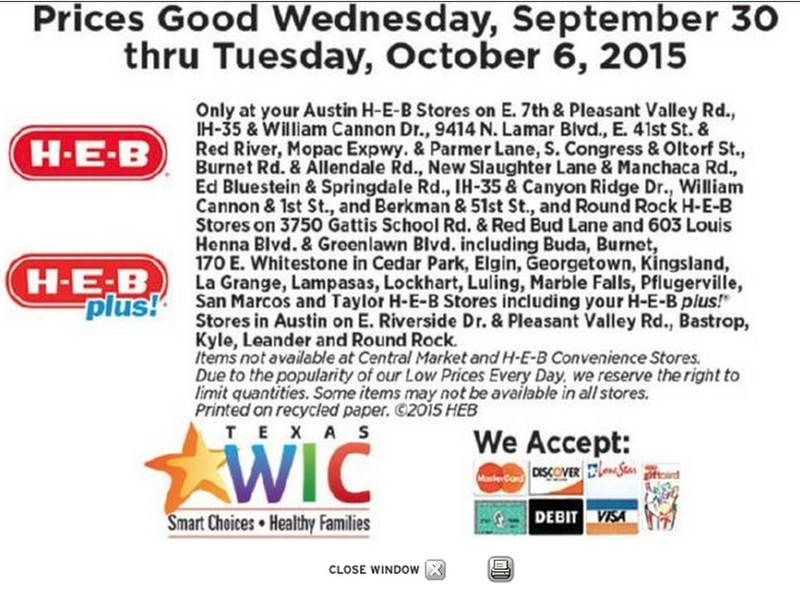 Austin has two different HEB flyers, one for some HEBs and one for the rest. It roughly shakes out to nicer, updated, large HEBs and smaller, older HEBs, but it’s more fun to call them ‘more grackle’ and ‘less grackle’. I came up with it during High Grackle season at the HEB at Congress & Oltorf, when the whole parking lot smelled like grackle poo. Out of curiosity, why do you not post ads from Supermercado El Rancho? They often have VERY good deals on veggies and meats, usually beating out HEB, Sprouts, and Randalls. I love your site! Thank you so much!